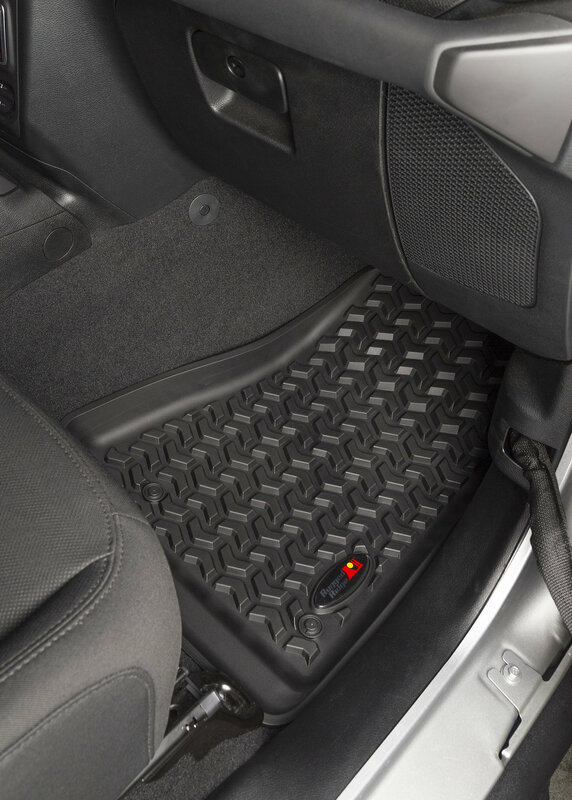 Keep your Jeep Wrangler JL carpet looking new and fresh with these Front Floor Liners by Rugged Ridge. Protecting your carpet from the elements and containing debris to be easily removed for cleaning. 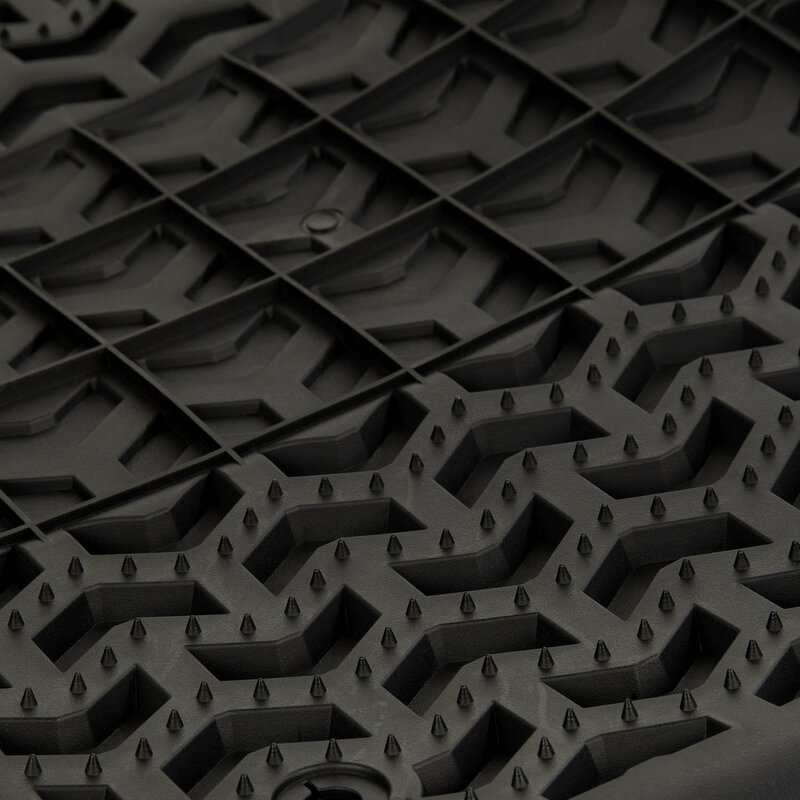 Offering a deep chevron tread pattern with a raised lip. 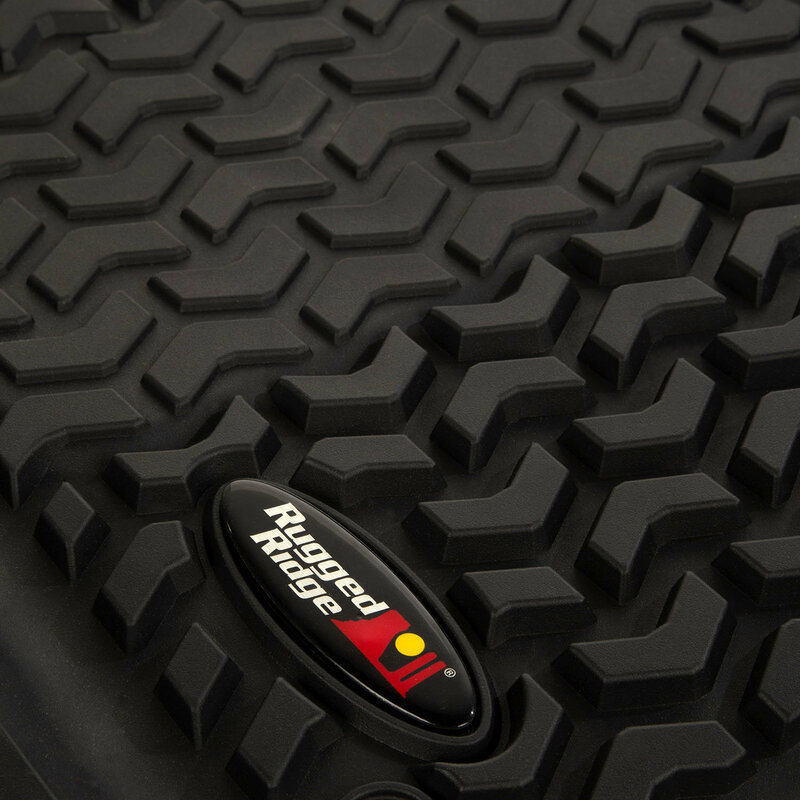 Made from an injection molded thermoplastic material that is both pliable and durable giving you a lifetime of dependability. Protection from the Elements: Keeping your carpet looking like new from the debris of life. 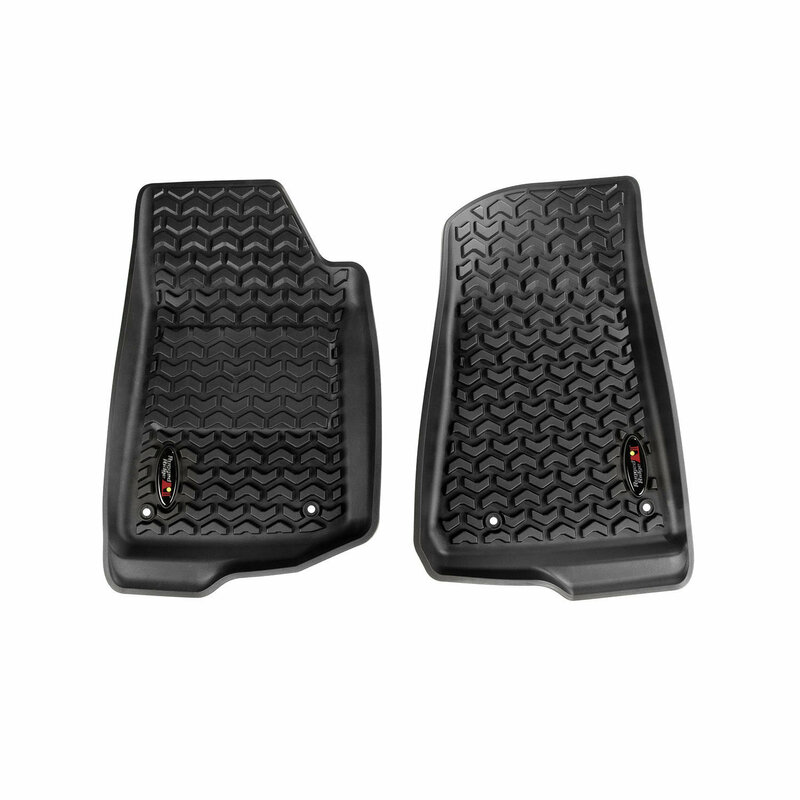 Easy Installation: Custom made for your Jeep Wrangler JL front floor pans installing in minutes. Quality Design: Offering a Limited Lifetime warranty giving you the dependability you are looking for. 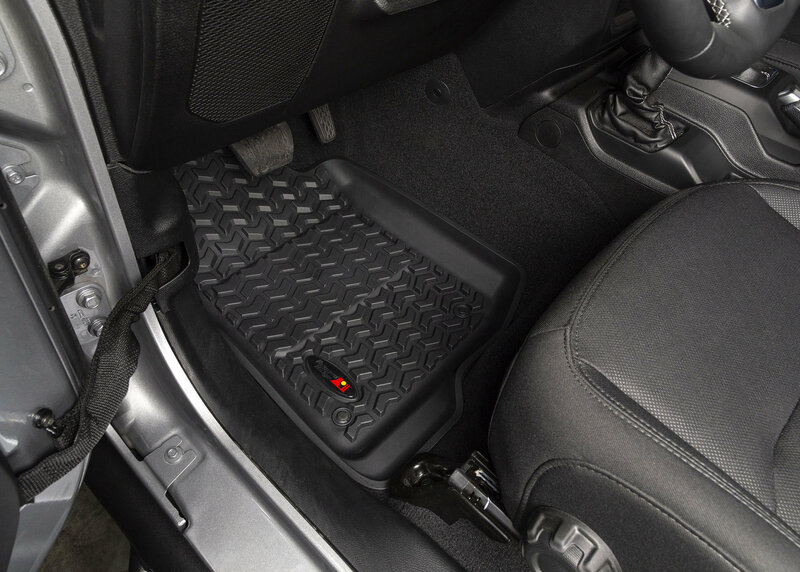 like the fact it does not have the factory style boot that goes thru floorboards.